“My daughter is a very organised and disciplined person, she is independent as she’s able to do everything on her own most of the time with little guidance. 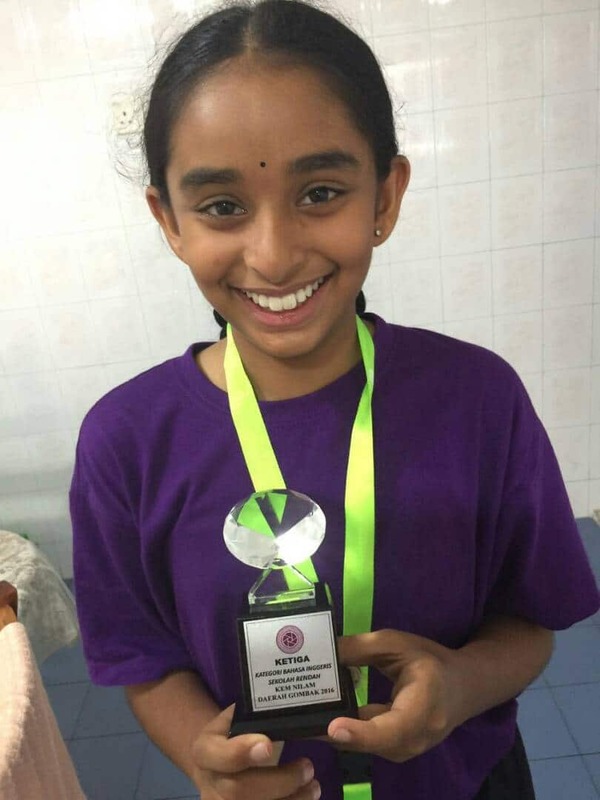 As a mother, I’m always proud of her achievements for both academic and her active participation in extracurricular activities.” says Ms.Kavitha, Aishwarya’s mother. 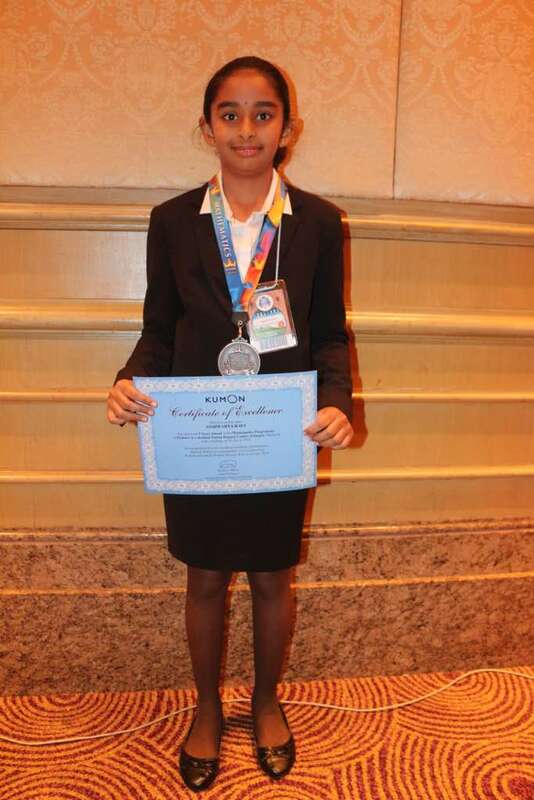 As a five years advanced achiever in Kumon Mathematics and English Programmes completer, the learning journey has not been easy for Aishwarya, 14 years old. She has to always persevere through the difficult times and stay determined in the challenges faced as the level of worksheets goes up. When she was 11 years old, she finds algebraic equations in Level J of the Kumon Maths worksheet to be the hardest. However, once she found the solution, it gave her a strong sense of achievement. Most importantly, Kumon has helped her to develop courage. It is no doubt that reaching higher levels in the programme requires time and effort. However, every failure she encountered allows her to learn with wisdom and have courage to face the journey beyond studies. Besides, Aishwarya has become more confident about studying on her own. She is able to tackle problems herself and persists in working through the exercise independently. “Most of the time, she would try solving difficult questions on her own before approaching her elder siblings for help.” says Ms Kavitha. Through this process of learning the unknown content, Aishwarya is able to cultivate her ability to take on challenges and become more ambitious. With her grades improved, Aishwarya takes charges of her life and balances her time between fun and work. She keeps track of her commitment and schedules while juggling between school work, extracurricular activities and Kumon worksheets. The same perseverance ignites her passion for English. “Ever since she joined Kumon English, she is able to speak fluent English as she started conversing like a Westerner with an accent. We have so much fun listening to her.” said her proud grandmother. 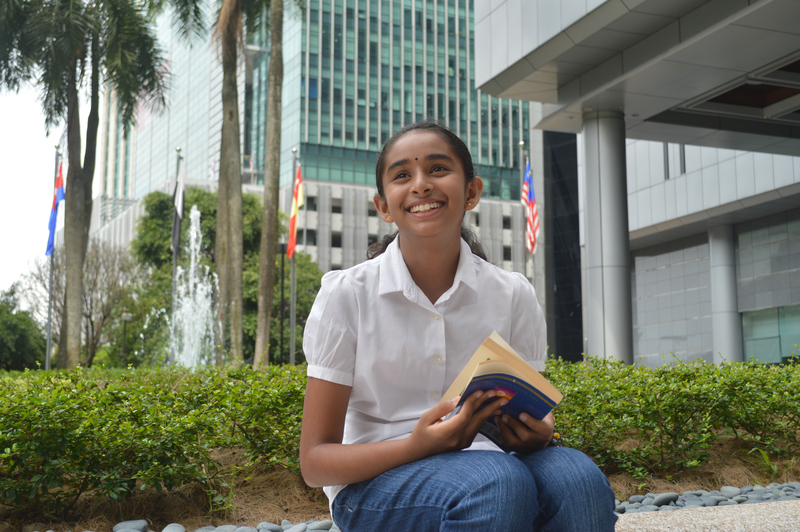 Inspired by her grandmother, Aishwarya has been obsessed with cultivating a love of reading since she was 5 years old. From reading books about fantasies and mysteries, she started reading science books related to human body as she aspire to become a doctor just like her grandfather. In school, she was honored to receive recognition as the top reader for reading more than 500 books within the past 5 years. It has become a habit for Aishwarya to read every night before going to bed. She makes it a routine just like doing Kumon worksheets every single day. Education is undoubtedly a stairway to countless possibilities for a bright future. A self-learning approach would definitely help children to learn and create better lives for themselves, even after graduating from school to become an independent adult. As a self-learning centre, we believe that self-learning ability is not just for academics but is useful for one’s whole life. This ability is about perseverance and not giving up when facing difficulties thus develop the confidence to challenge anything in life.